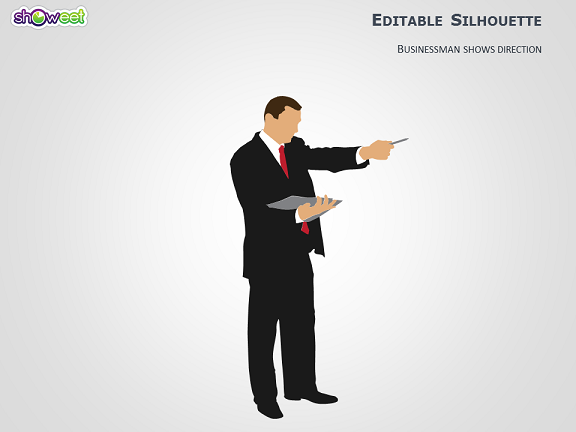 Free editable silhouette for PowerPoint of a businessman showing direction (or pointing at something) with pencil and reading his notes on clipboard. Suit w/ shoes, shirt, tie, face w/ hands, hair, clipboard are independent and can be colorized separately. Shape that can be used to illustrate a direction, providing guidelines or instructions, taking decisions, giving explanations, etc. Contains 1 slide. Download the shape for free!